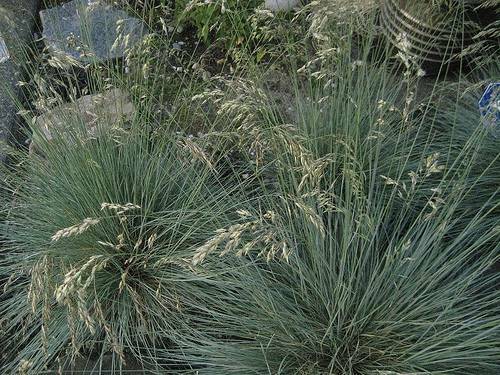 A densely tufted evergreen grass with narrow in rolled silvery blue, arching leaves, panicles of silvery blue flowers, fading to brown as they seed. Makes an attractive border grass. 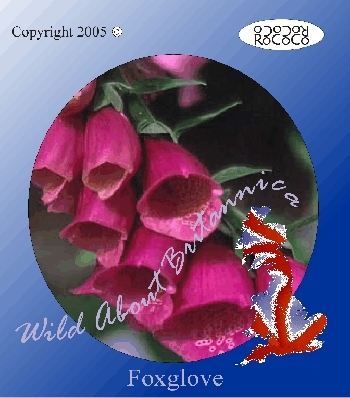 Flowers May to June. .
An evergreen dwarf densely branched shrub with mid-green leaves. 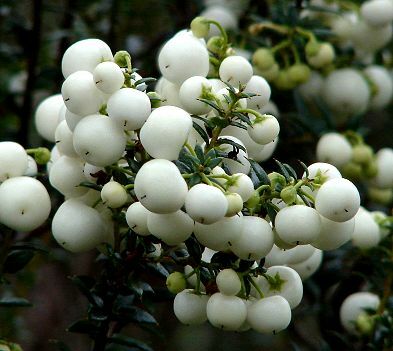 Produces racemes of white coloured flowers, followed by white fruit. Attractive ground cover shrub. Flowers May to June. Fruits September. Polemonium Caeruleum Stairway To Heaven is a colourful perennial which looks delightful in any garden, with its creamy edged foliage which is flushed pink in the spring months. Height and Spread 40cm x 40cm. 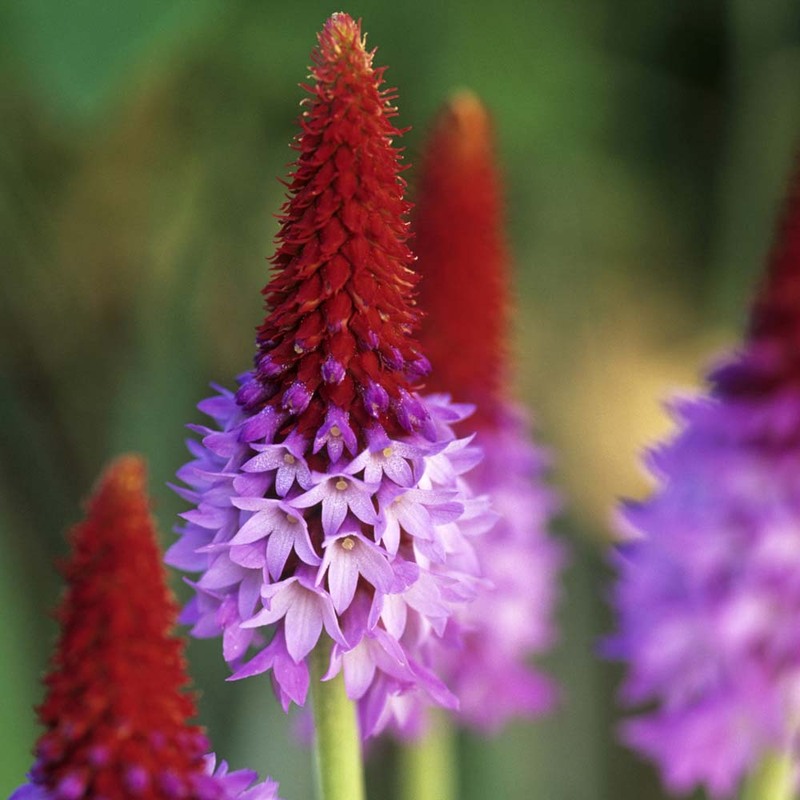 A clump forming perennial that produces beautiful flowers with tiny lilac petals on scarlet flower heads. Attracts butterflies into the garden. 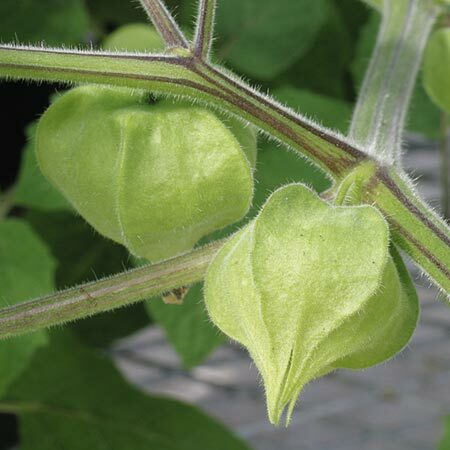 Makes an excellent waterside or woodland plant. 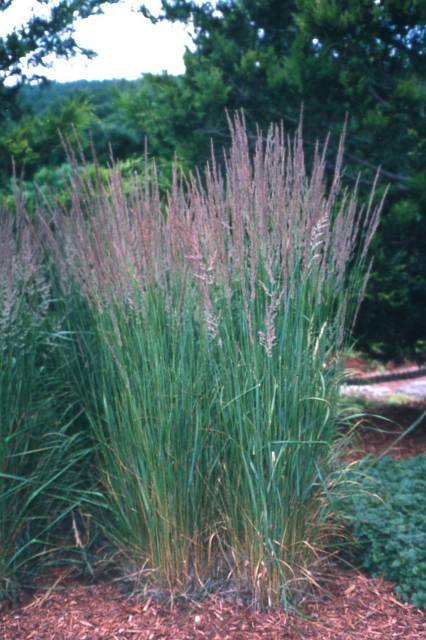 A handsome clump forming, tall grass with smoky pink flowerheads appearing in the summer giving the appearance of a silvery sheen in the sunlight. Soil conditions: Will grow in a wide range of soils provided they are not too dry. Evergreen arching bronze coloured leaves with brown flower spikes produced in summer. 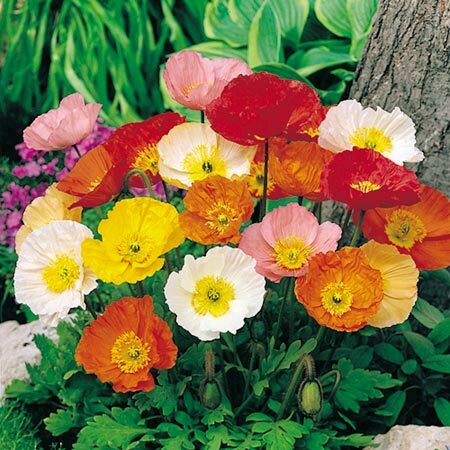 A wonderful contrast when planted with other colours, foliage forms and flowers in the garden. 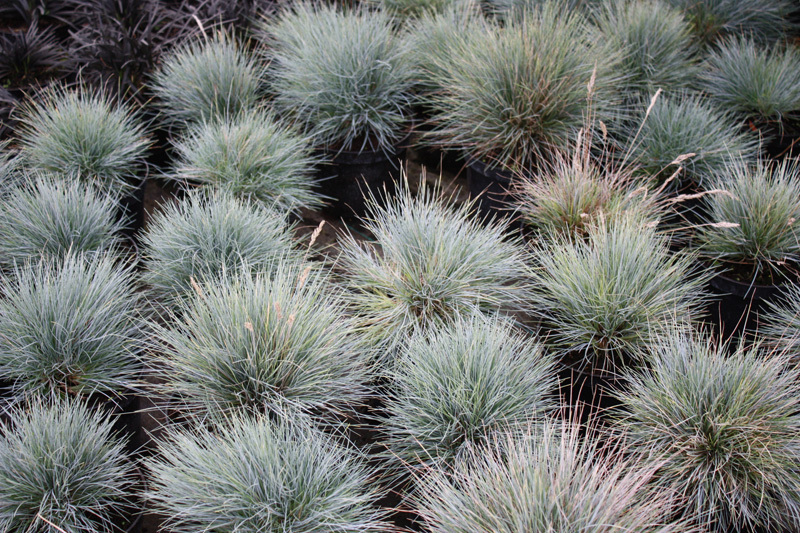 An attractive ornamental grass with blue-green foliage that is erect in the centre of the plant becoming more arching towards the outside of the clump. Plumes of small, sheeny flowerheads are produced from early summer to mid summer. 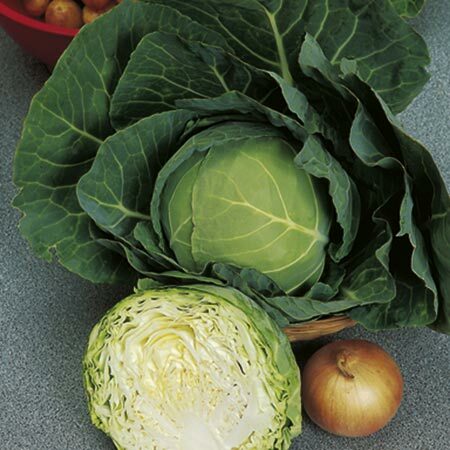 Soil conditions: Prefers a well-drained, alkaline/chalky soil. A stunning grass that requires plenty of space to show off its elegant, arching, cream-banded green leaves. Fan-shaped flower spikes develop in early autumn. Soil conditions: Will grow in a wide range of soils.